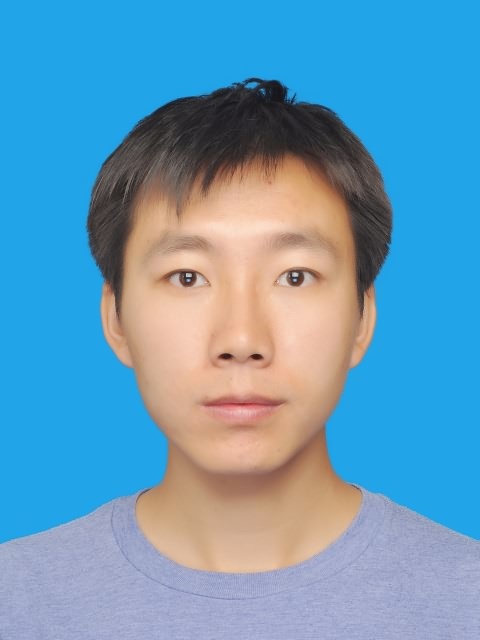 Hi, I am a 4th year PhD Candidate at Beihang University, my supervisor is Prof. Jianhui Zhao. I also work closely with Prof. Yebin Liu at Tsinghua University since 2014. My research area is Computer Vision and Computer Graphics. 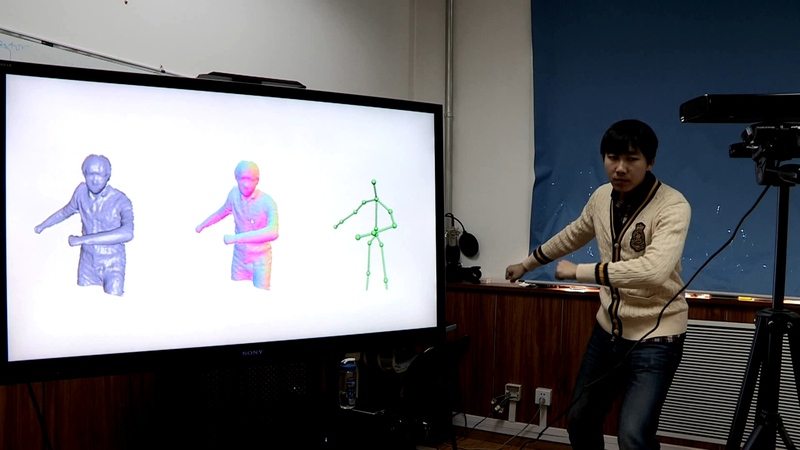 Specifically, I'm working on Real-time Dynamic 3D Reconstruciton Algorithms for Human Performance Capture. My goal is to enable convenient & robust & high quality performance capture for everyone. We propose DeepHuman, a deep learning based framework for 3D human reconstruction from a single RGB image. Since this problem is highly intractable, we adopt a stage-wise, coarse-to-fine method consisting of three steps, namely inner body estimation, outer surface reconstruction and frontal surface detail refinement. 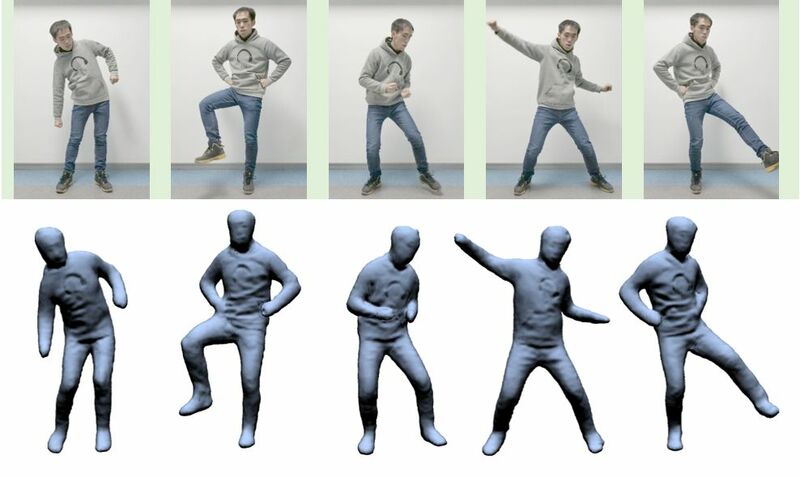 This paper proposes a new method for live free-viewpoint human performance capture with dynamic details (e.g., cloth wrinkles) using a single RGBD camera. Our main contributions are: (i) a multi-layer representation of garments and body, and (ii) a physics-based performance capture procedure. We propose a light-weight and highly robust real-time human performance capture method based on hybrid depth&IMU sensors. 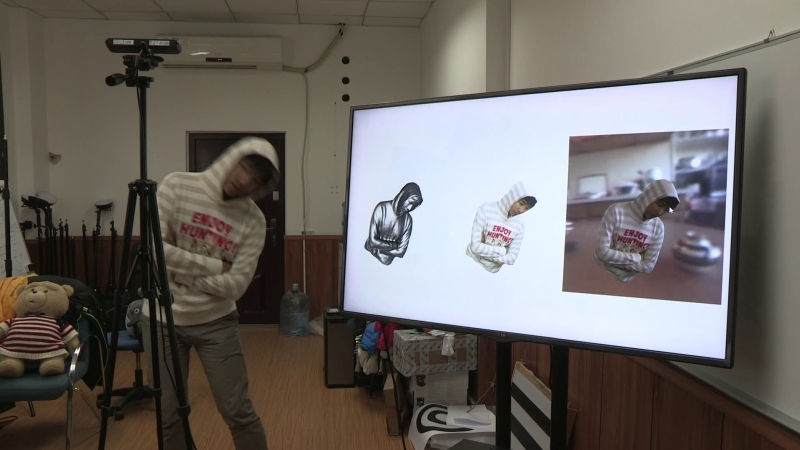 The method can reconstruct challenging motions, detailed geometries and the inner human body shapes of a clothed subject simultaneously in real-time. 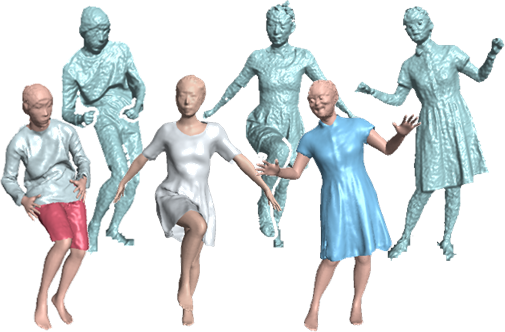 We propose DoubleFusion, a new real-time system that combines volumetric dynamic reconstruction with datadriven template ﬁtting to simultaneously reconstruct detailed geometry, non-rigid motion and the inner human body shape from a single depth camera. We propose BodyFusion, a novel real-time geometry fusion method that can track and reconstruct non-rigid surface motion of a human performance using a single consumer-grade depth camera. This paper proposes a real-time method that uses a single-view RGBD input to simultaneously reconstruct a casual scene with a detailed geometry model, surface albedo, per-frame non-rigid motion and per-frame low-frequency lighting, without requiring any template or motion priors.